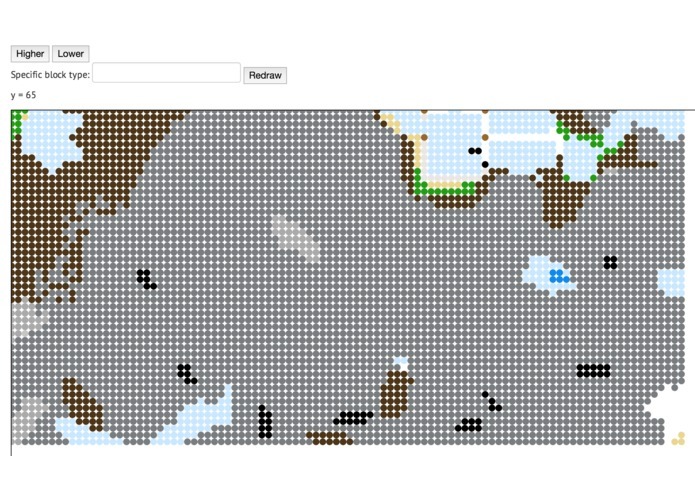 This is a tool for data analysts who love Minecraft and want to find patterns in their worlds. The python module ndt is used to parse the binary file containing a minecraft world's block data. The positions and types of each block are stored in the notebook. 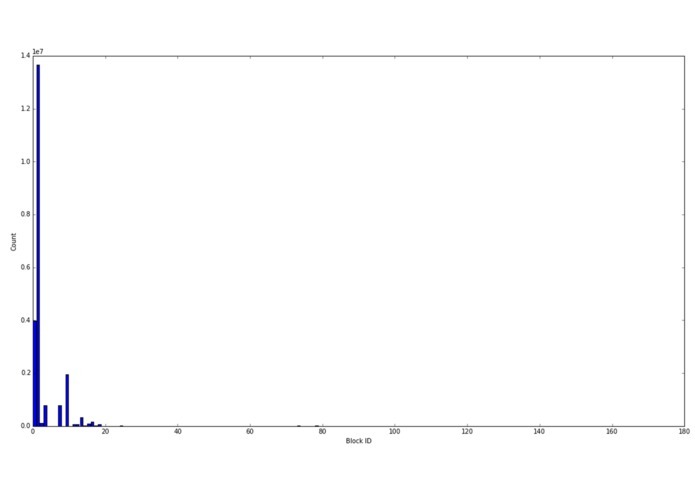 Then we apply visualizations of the data using both matplotlib and d3.js. The coolest feature is an html embed that draws a scatterplot of block types based on their location for a given height. It is interactive in that there are buttons to change the height and redraw the scatterplot in response to user input.